More Cake You Can Drink! Just when I thought Pinnacle had wrapped up the series in the game of unusual vodka flavors, another player comes up to bat and hits a home run. UV Vodka, that is. You see, Pinnacle is not the only company that makes cake-flavored vodka. And while I was aware that Cupcake Vineyards, of the wildly popular wine offerings, had entered the market with their own cupcake-flavored vodka, I have yet to locate it locally. Even though cupcake vodka continues to elude me, today’s trip to the packie did result in the discovery of this new bakery-inspired vodka to try: UV White Cake Flavored Vodka. I know, I know. How many cake-flavored vodkas do you need? Well, the same could be said for every flavor of vodka, be it raspberry, blueberry, chocolate, and plain. But you see, having options is a good thing. Each of us can then find what suits our own tastes and budgets, unhindered by a monopoly that holds us hostage with their offerings. I see no problem with more cake vodka. 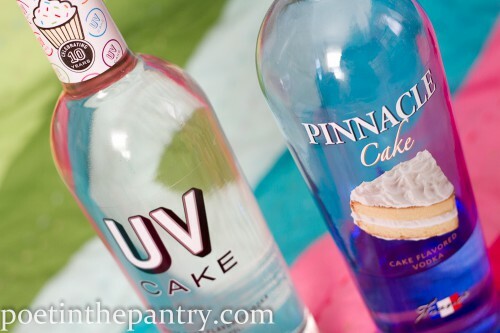 You may recall that I reviewed Pinnacle’s Cake Vodka in the spring just before it debuted. The end result was that, while it is an innovative offering, there remains a noticeably harsh bite to it that, while it has not kept me from drinking Pinnacle’s Cake Vodka, is something I would rather not experience. Not in a vodka meant to be mixed. 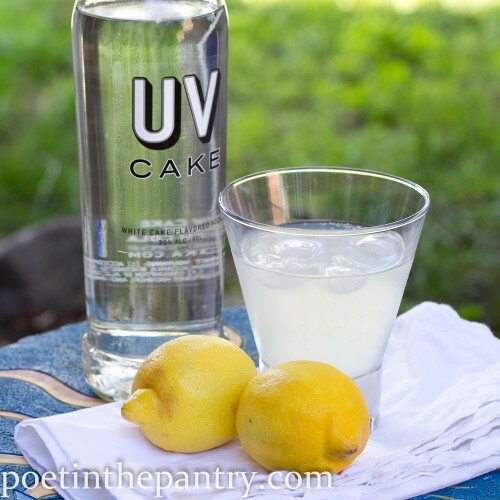 UV’s Cake Vodka brings all those good qualities of cake vodka–the delectable aroma, the sweet, cakey taste, and the endless possibilities for cake-inspired cocktail recipes–without the harshness. You read that right: even drinking it straight, UV does not bite like Pinnacle does. This cake plays nicely with mixers, or even as a straight shot. It is definitely sweet. But that’s what you’d expect something cake-flavored to be. And no, it doesn’t taste exactly like a cake, but that would be difficult to achieve in a beverage, regardless. Still it is a great contender and not one to be ignored simply because of its low price tag. I paid $13.99 for my bottle of UV Cake Vodka, which is about the same price that the similarly-sized bottle of Pinnacle Cake sells for around here (except at one rip-off local packie, but we won’t talk about that right now…). The bars may consider these offerings “bottom shelf” for their prices, but they’re worth a second look–and taste. The price is low-end, but the contents are not. Now there’s more cake to drink, too! Drop some ice cubes into a glass. Pour over them the vodka, rum, and lemonade. Stir and serve. Disclosure: The views and opinions expressed on this blog are mine alone, based upon my personal experience. While the bottle of Pinnacle Cake Vodka used for my previous review was provided free of charge by White Rock Distilleries to sample, I purchased the bottle of UV Cake Vodka for this review with my own money. Try UV Cake, Pineapple juice and grenadine. Tastes just like a pineapple upside down cake. I am not sure what has happened to the variety in liquor stores lately. When you go to 5 and none have what you want it is disappointing. However, I will be on the lookout for this awesome vodka. Thanks for sharing. Oh I love pinnacle! I tried for the first time a few weeks ago…. yum! This stuff is amazing… try it with an ice cold Sprite. YUM.. I also had a a choko-vino that was rather thick… put it in a double shot glass and pour the Cake vodka on top then shoot it.. you swear you just drank a peice of bithday cake with chocolate iceing. I have had ChocoVine before but never thought to add UV Cake to it. Will definitely have to try that. Thanks! Found your post when searching for cake vodka martini recipes. 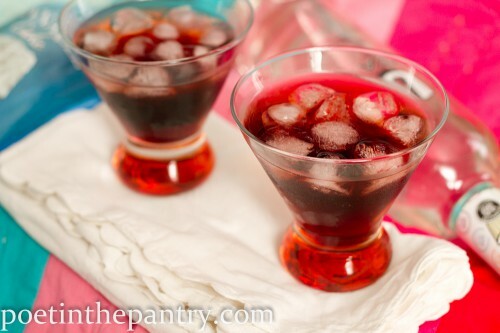 I’ve long been a fan of flavored vodka, and have tried many (ok 3) cake vodkas. My favorite, and trusty standby, is Three Olives Cake flavor. Straight over ice, in a pretty martini glass, or mixed with vanilla Coke (my personal favorite) it’s sweet without being over powering, and without that harshness some others may have. Cake vodka and Pineapple-Orange juice…tastes just like PINEAPPLE UPSIDE DOWN CAKE!…great! 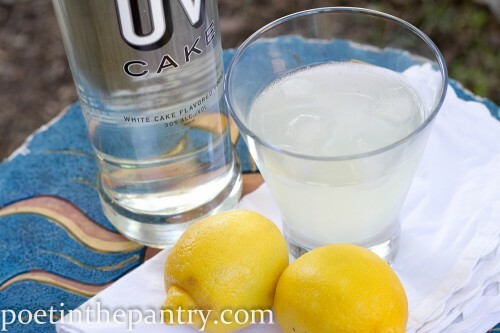 Try this….1 1/2 oz three olives cake voodka 1/2 oz lime cordial. 1 1/2oz 7up. Mix in shaker….. Pour over ice! Wow this is the best key lime pie ever and I have never even really had the pie before!!! Just thinking of this makes my mouth water. This sounds like a tasty drink. We only have UV at our liquor store in Boise, not pinnacle, but that sounds like it isn’t a problem. 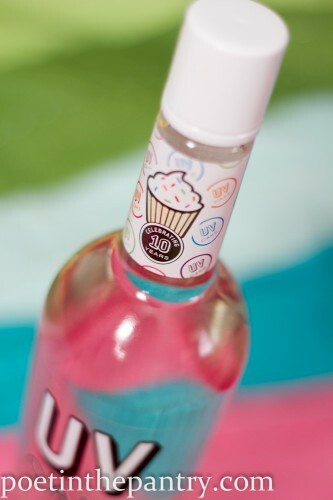 I love Cupcake Wines and had no idea they made a vodka – that is so cool!